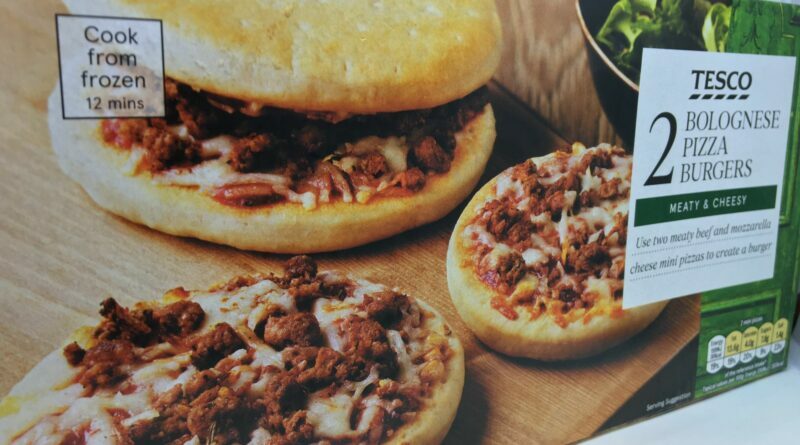 Use two meaty beef and mozzarella cheese mini pizzas to create a burger. 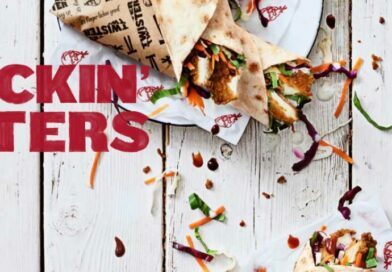 Is it a pizza? 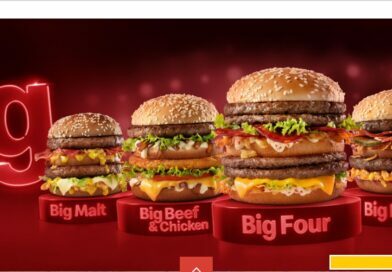 Is it a burger? 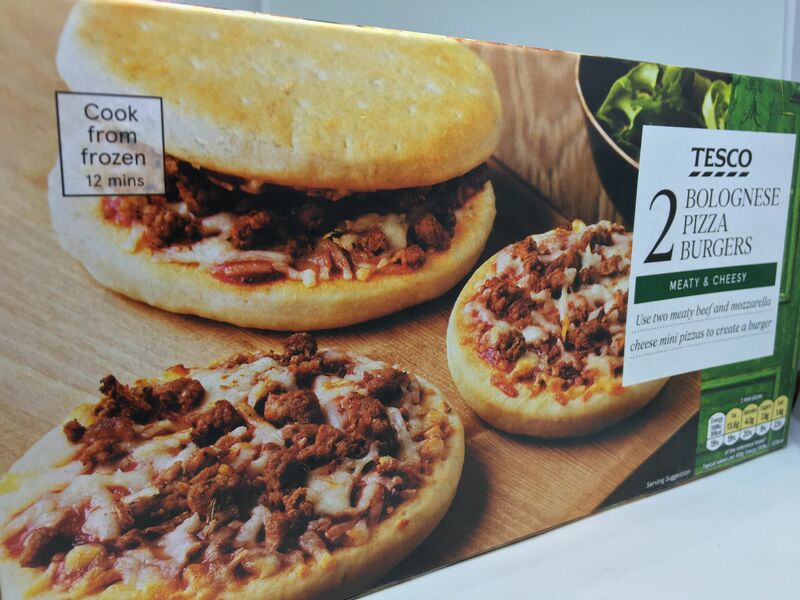 You’ll find Tesco Bolognese Pizza Burgers in the frozen pizza section. 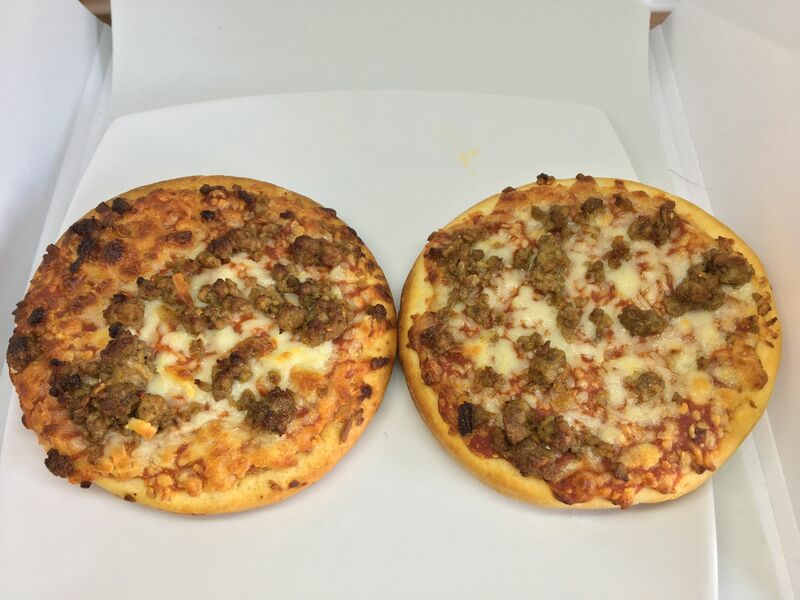 So technically it’s a pizza. 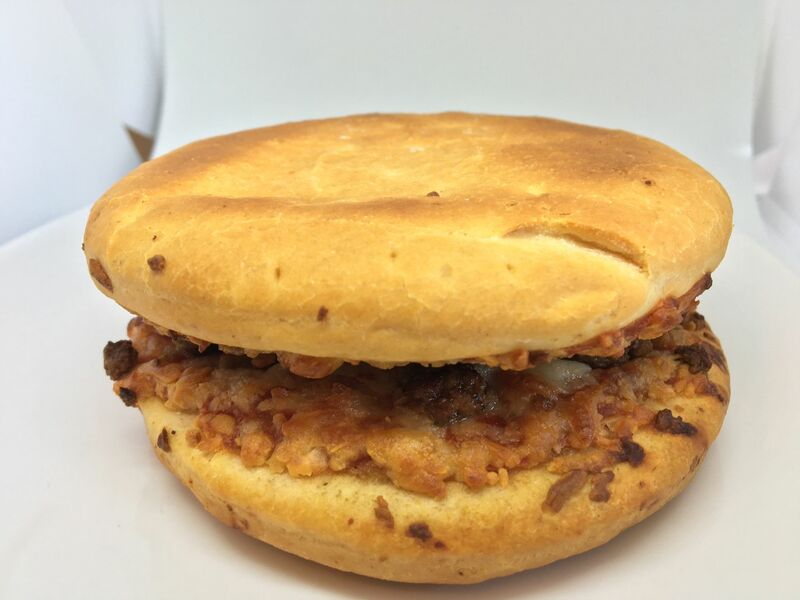 It’s going in my mouth and on the website though so who really cares? 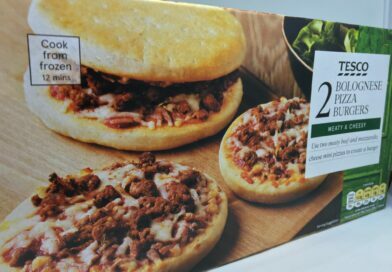 Tesco (only one ‘S’) call them mini pizzas so we’ll treat this like a mini review. 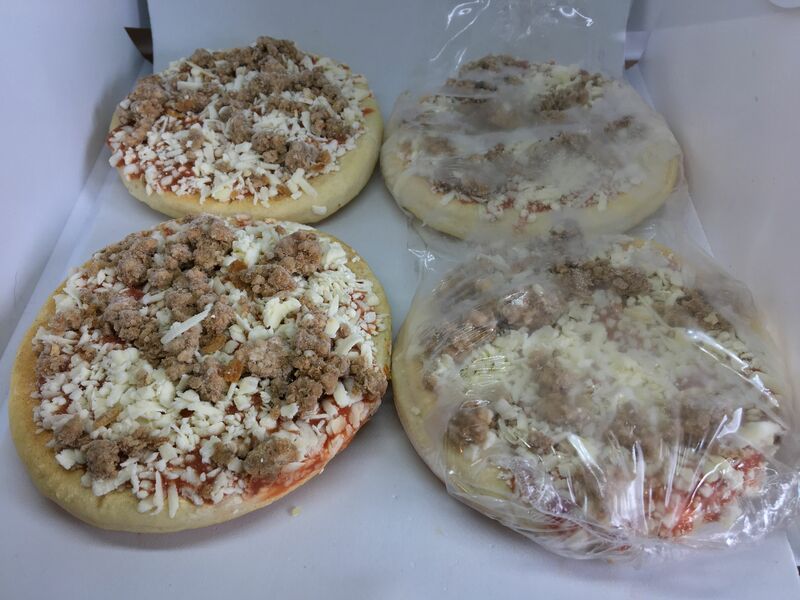 The packaging says “2 Bolognese Pizza Burgers” but in fact you get 4 mini pizzas inside – so you can either have two burgers or four mini pizzas. Choices. 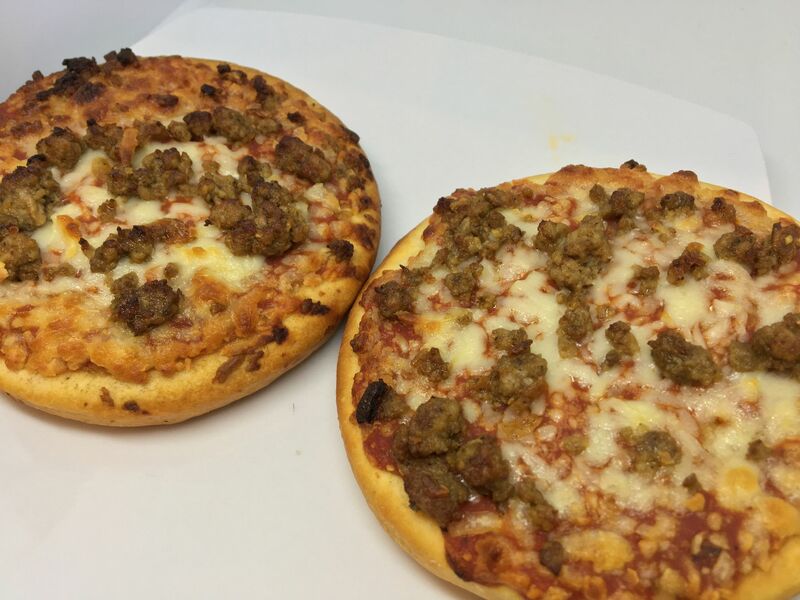 I love Bolognese pizzas. You don’t tend to get them that much in the UK. Whenever I’ve been on a self-catering holiday in the South of France, I always grab some. Years ago, Miss Milkshake was prone to a Chicago Town Deep Dish so she was sampling hers via the microwave. Can you guess which one is which from the image below? Mine was just slightly overdone, but there’s an obvious difference in the bread when you are oven baking these instead of microwaving. I’ll stick to the 10-12 mins wait thanks! 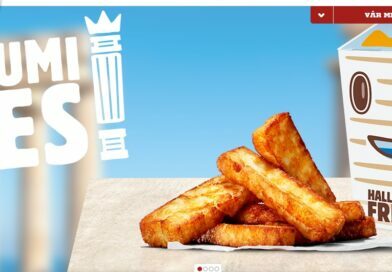 These are not great for you, health-wise. 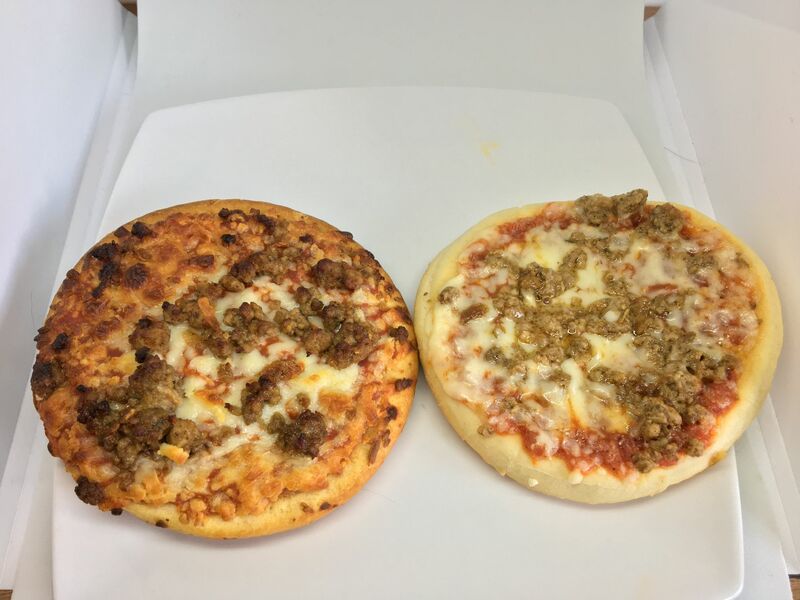 Two mini pizzas contain 13.6 fat (19% of your daily allowance) and 1.4g salt (23%). They are pretty enjoyable though. Putting them together it looks a bit like a burger – close enough association to get it on these pages! 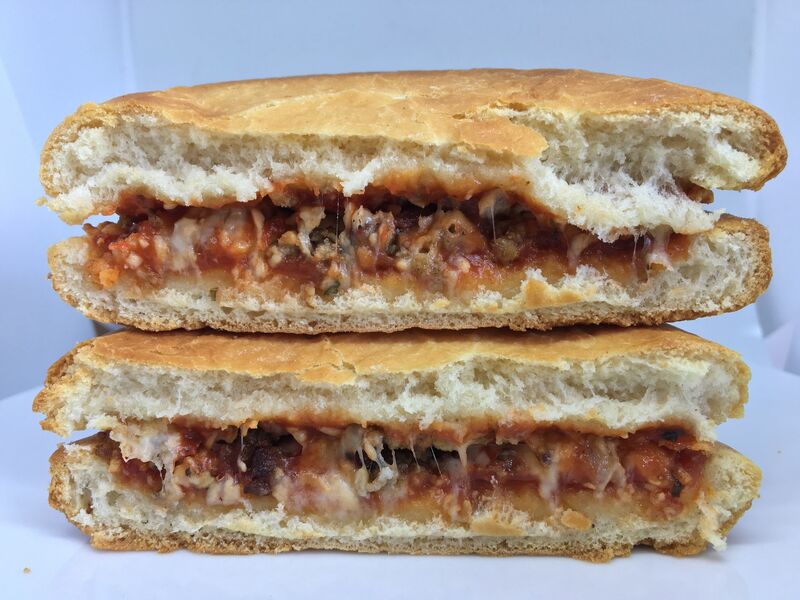 The bread is slightly crispy and houses the beef/cheesy/saucy interior – there’s just about the right bread to “toppings” ratio. I was expecting a more “bolognesy” flavour but you do get hints of beef and Italian seasoning now and then. All-in-all, a respectable snack for £1.70 and something I would consider buying again. 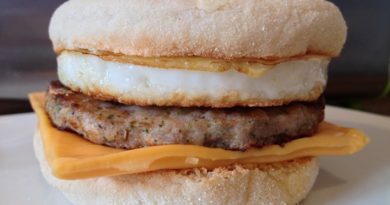 These and the Tesco Sausage Patties are definitely worth having in your freezer in case of emergencies. Just don’t microwave them! 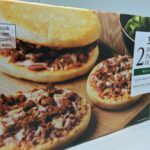 Tesco Bolognese Pizza Burgers are new at Tesco and you’ll find them in the frozen pizza section. 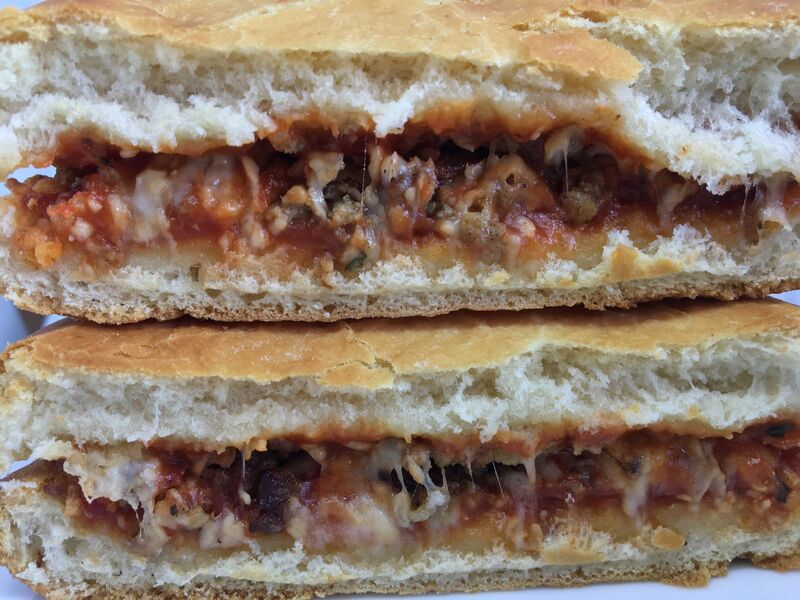 At a stretch, you could call them a burger but they are definitely more pizza than burger. 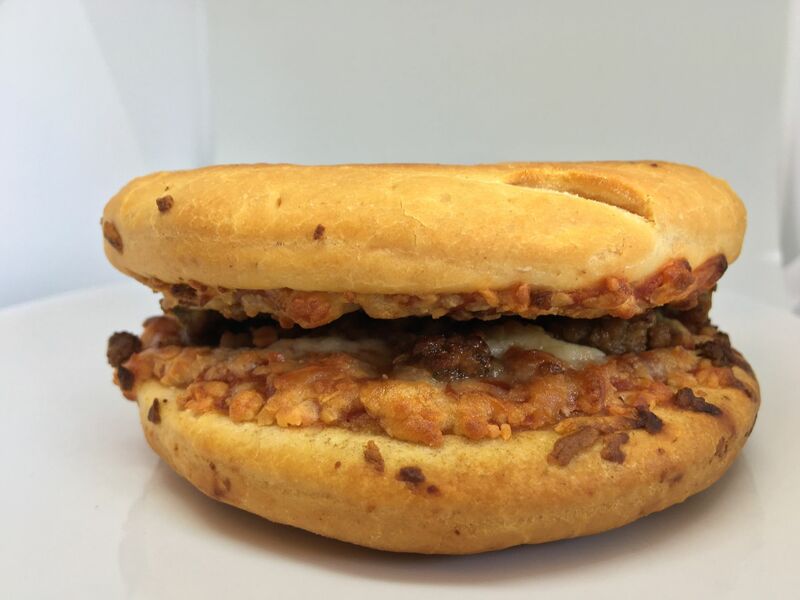 The combination of beef, cheese and sauce gives you some hot, gooey goodness with every bite and for the price, you can’t really go wrong.